Vintage patterns are tres chic right now. If you're intrigued with past patterns and plan on finding a designer/seamstress who can whip up your creation, here are a few things you should know. Unlike today's patterns that include many sizes in one package, those from yesteryear are a one size only deal. Not only are silhouettes reminiscent of an era, did you know overall cut, types of darts and dart lines are as well? 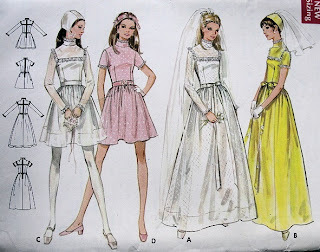 With all the changes in machinery over the last thirty plus years as well as hemming products, range of notions available and faster techniques, whoever is making your dress will have to know how to adapt instructions provided by the original pattern. Want to do a Gatsby or roaring twenties theme? The 1920s was about women's freedom and it played itself out most dramatically in fashion. It was one of the first times in history the female body was comfortable. 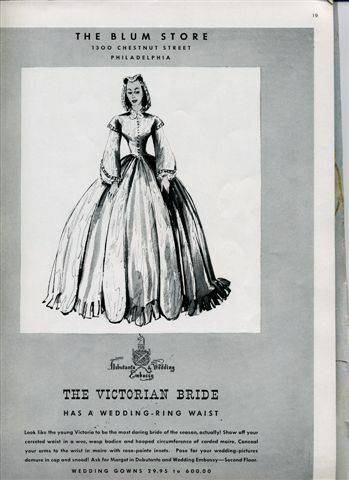 Typically wedding dresses were short with loads of lace and a graduated hemline forming a train in back. Most headpieces were cloche-like and worn low on the forehead. The above pattern is for an informal affair . . . 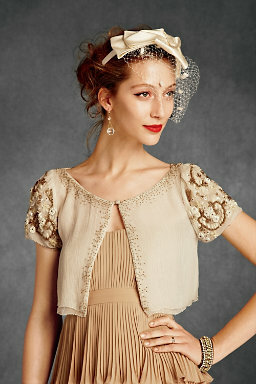 True bias cut, body-hugging, gowns made their way into bridal wear in lightweight satins and crepes. 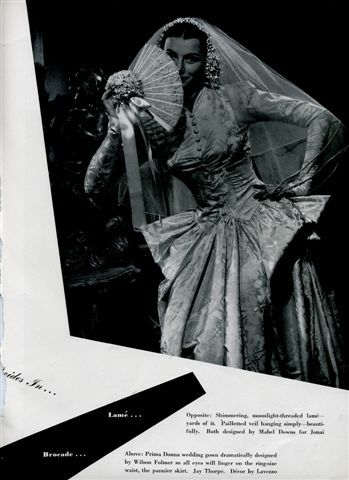 Hollywood had a great influence on fashion during this time and many brides to be looked to the cinema for inspiration. 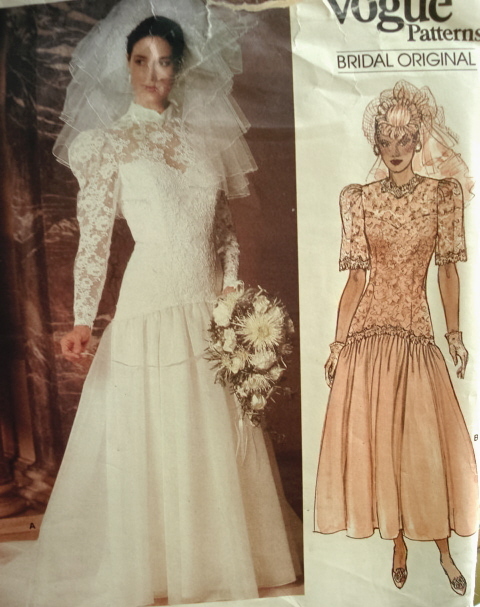 This is also the era Brides magazine premiered its first issues, not only featuring gowns and veils but ideas for trousseau and setting up home as well. 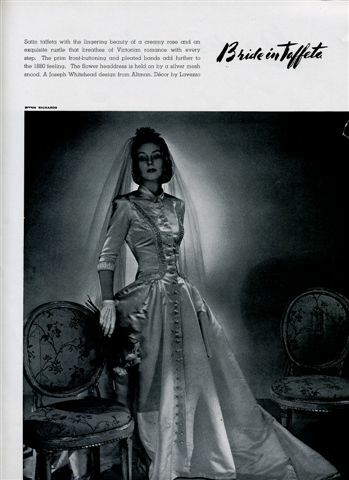 Alines with sweetheart necklines and puffed sleeves in bridal satin were typical till wartime when fabric was rationed. 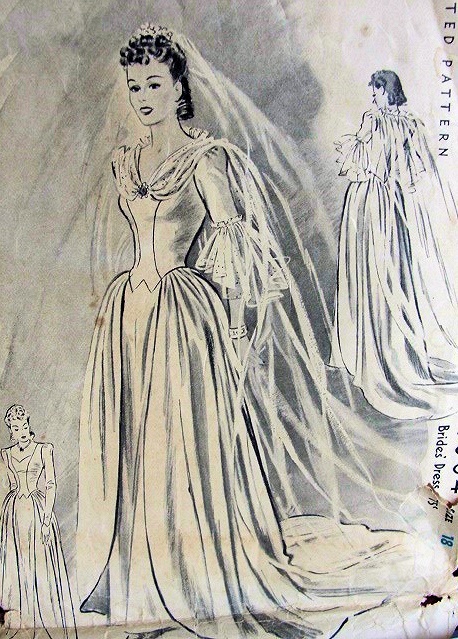 During wartime, brides married quickly before sending lovers off to war. Often they'd marry in their best dress or more often, best suit. 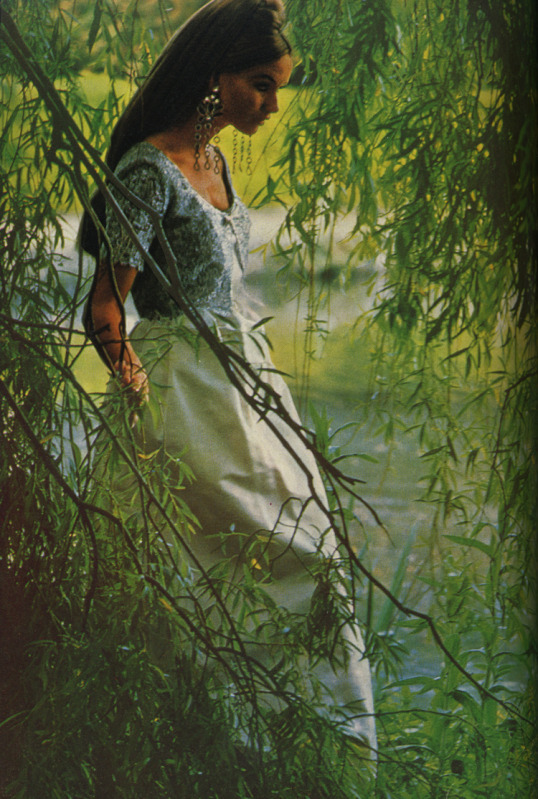 Once restrictions were lifted on fabric after the war, even wider poufier skirts returned . . . 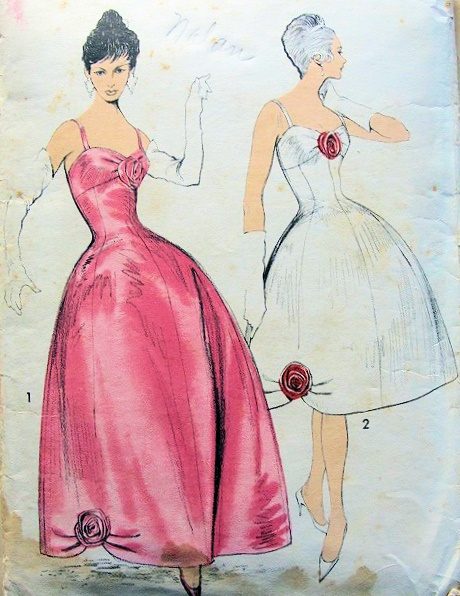 The era of Christian Dior was all about yards of skirt and nipped in waists. Slimmer silhouettes celebrated the female form as well. 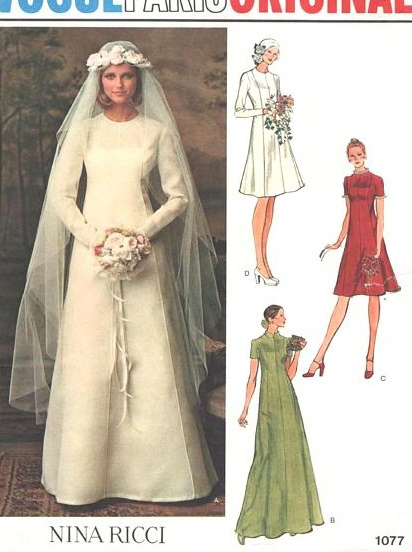 Synthetic fabrics were all the rage, even in bridal wear. 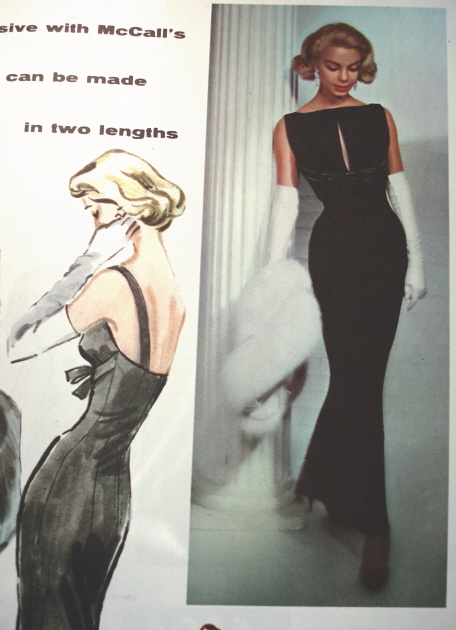 Many dresses that have survived this era either home made or manufactured are rayon, acetate or Dacron. No Polyester; that was the miracle synthetic of the 1960s . . . The early sixties of Audrey Hepburn and Jackie Kennedy's influence on fashion was radically different from the Mod swinging late sixties. The styles on the above right pattern envelope show a Mary-Jane and lace child-bride look so prevalent in fashion by the youthquake years . . . 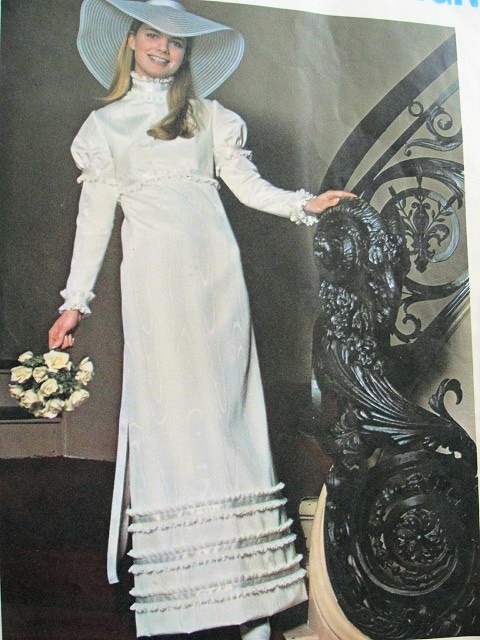 Though this was an era of funky fashion we were still stuck with the cookie-cutter bridal image like the one above. 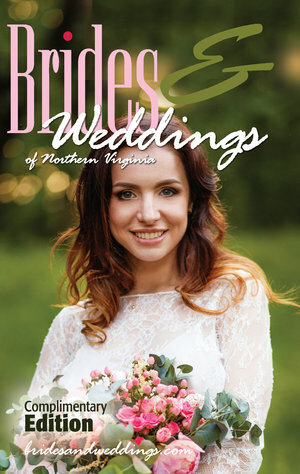 Nina Ricci did great with this bride's boho veil and headpiece though and the lines of the dress are flattering. What we lacked then that we have now is brides brave enough to step outside the box and do something really earthshaking . . . 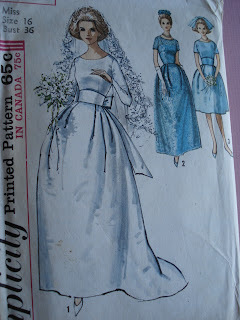 If you're imaginative, you know you don't necessarily need a pattern that says, bridal on it or have a dress pictured in white. 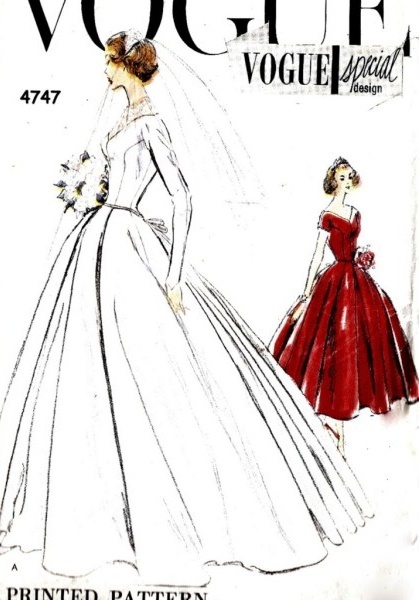 Any design or color shown can be created as a wedding dress. What an inspiration! Black and pink do something awsome when combined, don't they? 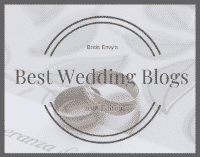 This gorgeous board is the work of Shana via SMP Style Circle whose blog, Baubles and Bubbles is loaded with chic and novel ideas for the bride . . .
Another board that's perfect for getting into spring! When I was a child, yellow was my favorite color, so invariably this medley reminds me of the joyful and happy images of my youth. Thanks again to Shana over at SMP Style Circle for inspiring us all. 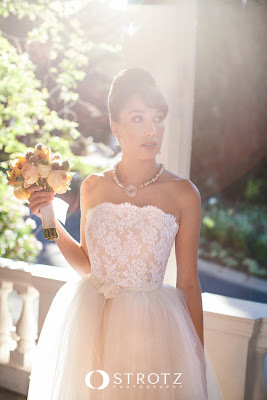 More inspiration can be found on her blog, Baubles and Bubbles. Looking for something to cover up in? BHLDN had its launch earlier this month and what a premiere it was. The gowns are all over the web but have you seen the shrugs, wraps and boleros? You have to admit, these are certainly original and not something you can find just anywhere. Can't say enough about this company and the marketing genius here . . . . 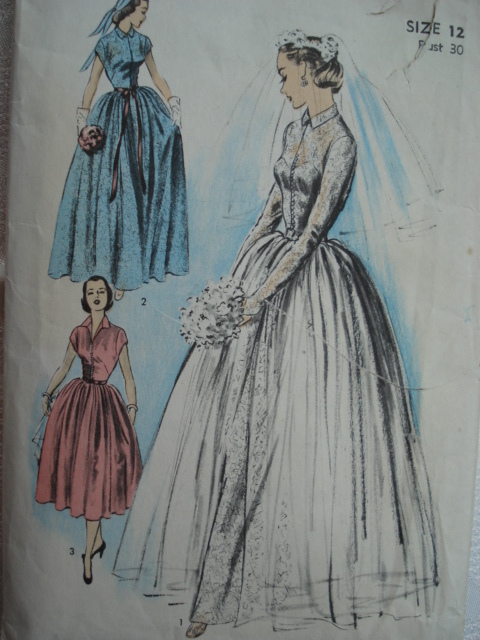 I love my copy of Bride's Magazine dating back to Fall/Winter 1939. Vintageholic that I am, you can imagine how much inspiration I've picked up studying each page with all the concentration of a scholar. Fashion-wise, 1939 was an interesting year. 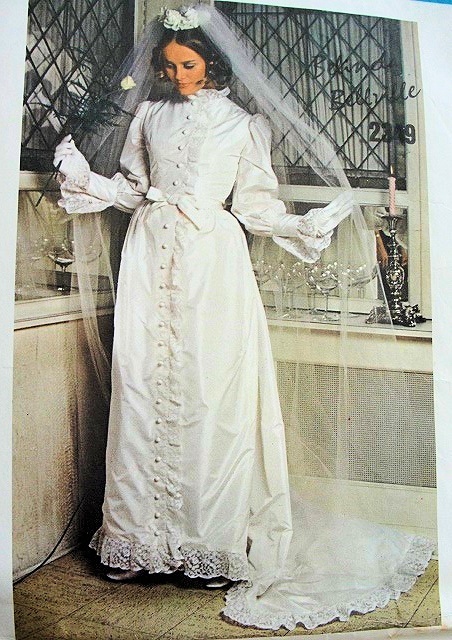 Gone With the Wind, just released, had incredible influence on evening and bridal with stores rolling out antebellum silhouettes in yards of taffeta and satin. 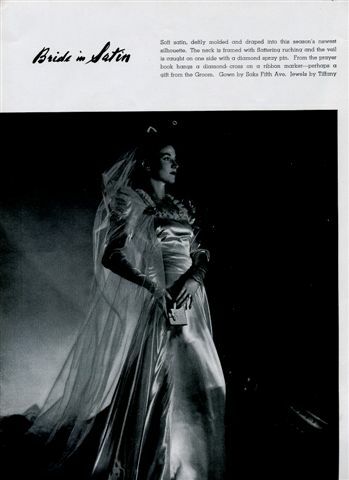 By today's standards, the description on the ad below for The Blum Store in Philadelphia would scare more brides off than sell them . . . .
Scanning these ads, I realize how times have changed. Back then the independent bridal salon as we know it now didn't exist. It was the era of the toney department store, the primary place you went to get anything, including gowned. With the birth of the bridal registry at Marshall Fields in 1924, other department stores followed suit. 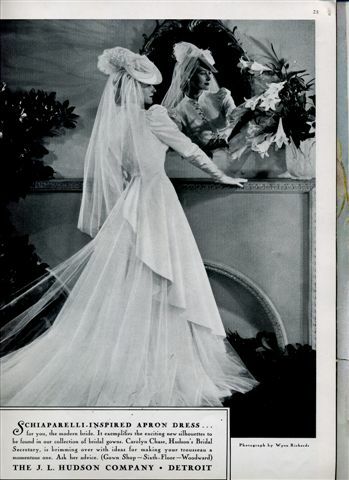 By the 1930s, stores vied to keep customers--especially the bride and her entourage under one roof. 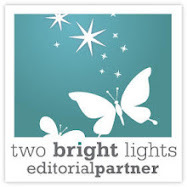 They boasted of specialized consultants as well as registry helpers, all in house. Here's a sampling from The H. & S. Pogue Company in Cincinati: Pogue's Bridal Service is yours to use. 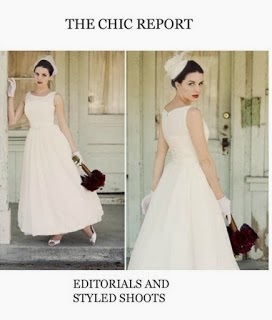 To help choose your trousseau, your wedding gown , your bridesmaid dresses. To relieve you of the thousands of details that must be looked after with the greatest care to assure you the beautiful serenity that's your right as a bride . . .to make your wedding the perfect thing it should be. Most top drawer gowns at depression's end ran about two hundred dollars. The one above is stunning in simple details, designed by Joseph Whitehead for Altman. 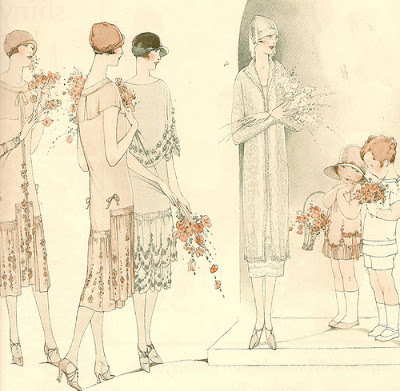 Few designers took credit wholly for their own work as most of any stature were connected to a reputable department store. Those who worked independently were known as having dressmaking establishments and mostly did custom work. 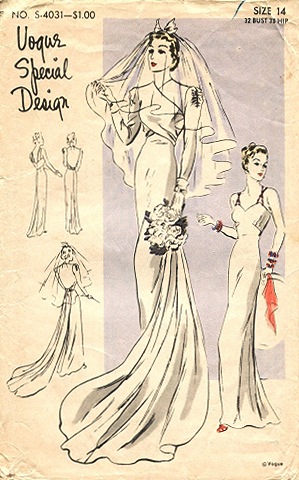 The satin gown in the top photo simply credits Sak's Fifth Avenue for the design; this tells us in-house designers were hired to create samples of these gowns that eventually were made to order for each bride. Back then a store's rep carried more weight than the designer names they carried. 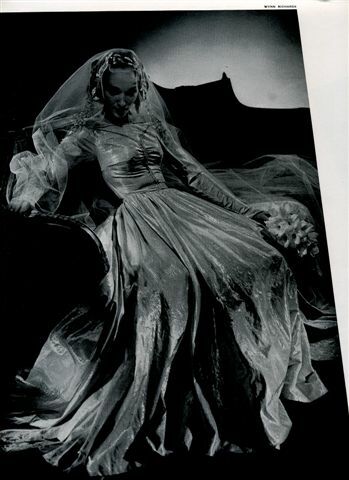 In the end, places like Bergdorf's took kudos for creating a certain 'bridal look'. Want some out of the ordinary inspiration? Check out these gemmies by indie designer, Cherelle Yvette of Antithtesis Designs. Based in Galveston, Texas, Cherelle's pieces are full of unexpected elements and changes of texture. Says Cherelle, "I made a promise to myself to design for the person and not for the masses considering the wearer by creating garments that help seal memories… stealing moments in time. I design for the Woman, the Lady, and the Lover. It is my aim to infuse these components into each of my collections. My Client is the opposite of ordinary making the world pay attention one person at a time . . . ."
The late sixties/seventies era is known primarily for wild and off-beat chic except for a few pockets of elegance here and there Thanks to a some savvy designers, the funk was fine-tuned into into high fashion. The era was the most politically charged of the century and invariably spilled over even into haute couture. Another Belinda Belville masterpiece. 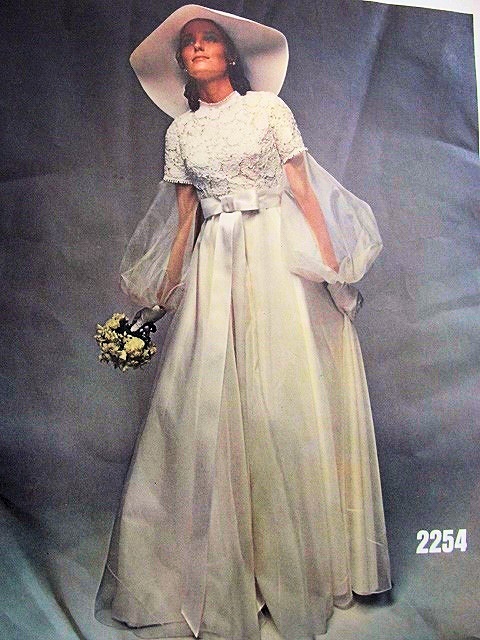 Though featured in Vogue Pattern Book April/May 1970, the precisely placed buttons, luxe taffeta and use of lace make this gown timeless, wearable in any decade. What a gorgeous set of inspirations we have here. 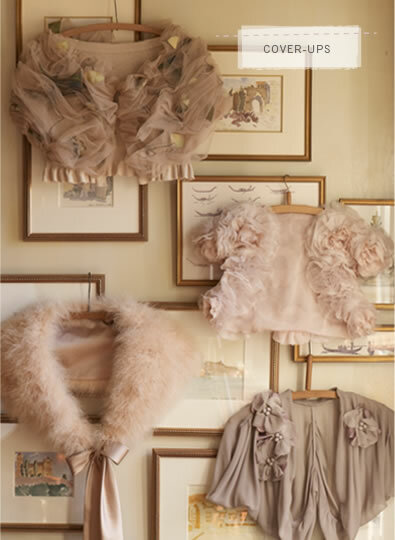 Combining drama with balance and beauty, Annie Packman over at SMP Style Circle has brought us a potpourri of couture, culinary delights and scenery. Want more inspiration? 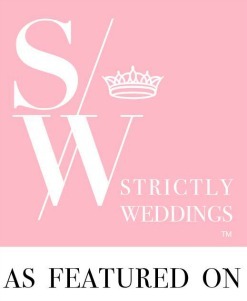 Check out her incredible blog, Marry You Me, covering everything about wedding, love and sweetness . 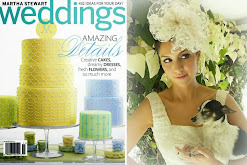 . .
Sky blue and white clouds are such a pretty and nature-inspired theme here. What caught my eye on this board is the white wood floor and light tones of the French Provincial chair bottom right, stunning . 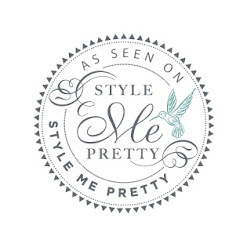 . .
Board composed by Tuyet Nguyen over at SMP Style Circle. 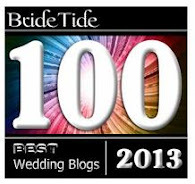 Waht a great time to be a bride. Check out these adorable clutches to sport on your days of days . . . all from Etsy so they have that out of the ordinary element you've been searching for. Not only are the traditional uses of lace still inspiring, there's a whole new spin on that old tradition thanks to a few savvy designers. Above and below are separates from Alberta Ferretti's knit and cotton laces, definitely on the cutting edge. 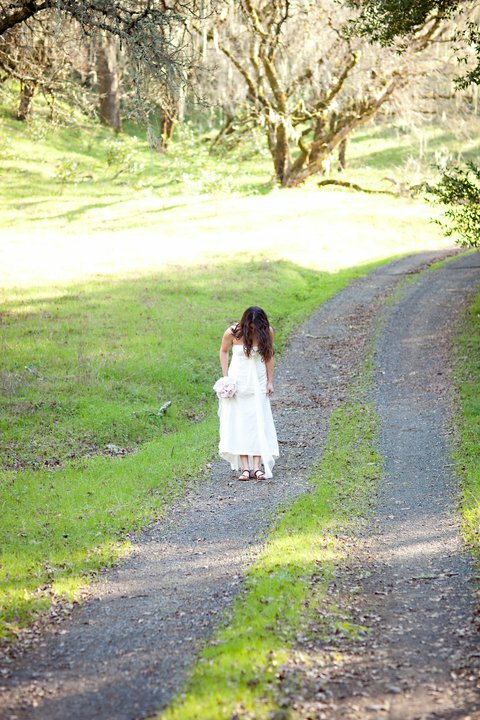 For the eco-conscious bride who wants to find a better alternative for her bridal ensemble than storing it in a box under her bed, any of these could easily be reworn post-wedding. 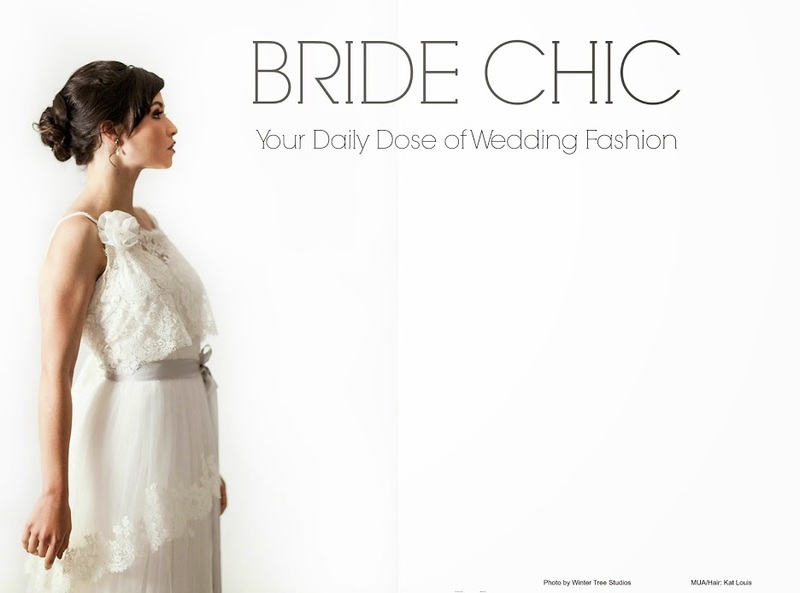 Starting February 21 through March, Bride Chic will celebrating decades of the 20th century and what each contributed to bridal fashion. Even if you love the styles of yesteryear but find yourself set on no particular decade we'll show you how to combine several into one look. Most of all, you'll find how easy and fun it is hunting down that dress and all those accessories . . . 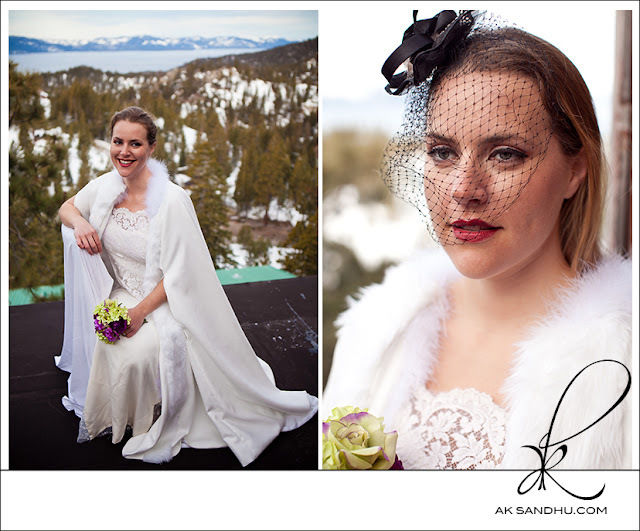 Here's a sneak peek at the up and coming Snow Bride, an editorial by destination photographer A.K Sandhu who once upon a time modeled for me (see Le Jardin editorial). 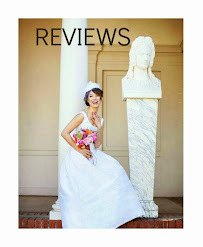 Now that she's switched sides of the camera, her numero uno preference is wedding photography. Last week she took a few of my gowns, wraps and hats up to Lake Tahoe for a snow shoot. She's really captured the awesome winter wonderland beauty of the Tahoe landscape here. More to come in a few weeks . . . Boy do I have a real treat for you this Valentine's Day! For those of you who missed Donna and Matt's I heart you wedding last year, check it out here in all its bright splendor. I'd like to give the very talented Loic Photography a buzz again for making this medley of images something really special. 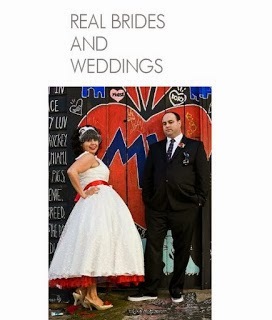 I'm grateful to Donna and Matt for inspiring others to step outside the box, especially Donna for wearing my dress so beautifully and adding the red and purple petticoat. BTW folks, every time I run anything on this wedding I get emails asking, "Where do I find the shoes . . .?" So I ask you, who else but Vivienne Westwood could do these shoes? It's not too early to dream of spring amidst all this winter white snow, is it? Of all the greens in the spectrum, I adore the hint of mint and barely celedon tones so soothing to the soul . . .Again we have Shana over at SMP Style Circle to thank for putting together these beautiful images. More goodies on her blog, Baubles and Bubbles . . .
An inspiration board featuring one of my fav actresses, Christina Hendricks deserves a whole Saturday. Add to that the vegan bouquet and we're really zoning in on originality here. 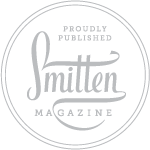 Thanks to Shalini over at SMP Style Circle for making this inspiration possible. 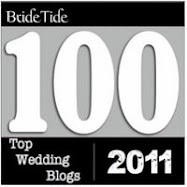 Check out her blog , Chad and Shalini for more ideas. 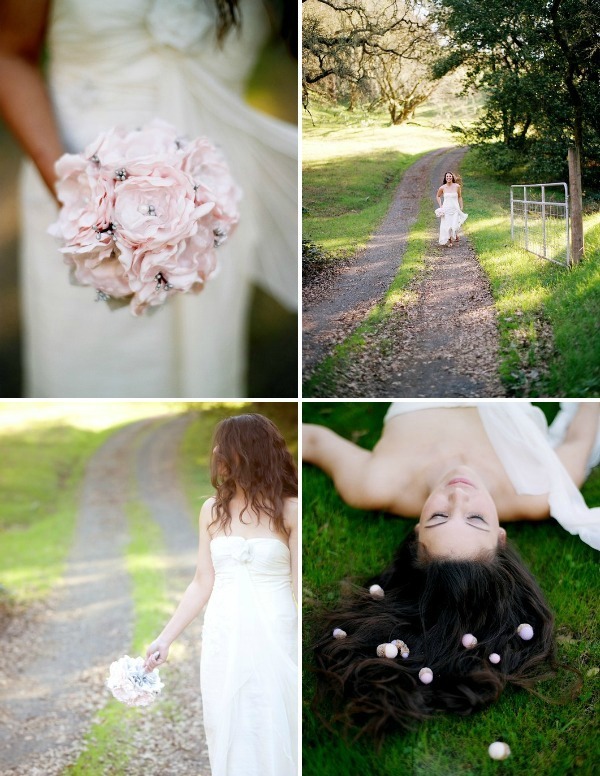 The intimacy of a private vineyard in Northern California added a rustic feel to this winter shoot by the always artistic wedding photographer, Silvana Di Franco. Believe it or not these gowns were shot last week. While the rest of the country and world experience one of the coldest winters in a decade, here we are basking in 76 degree sunshine in our own isolated little pocket of the globe . 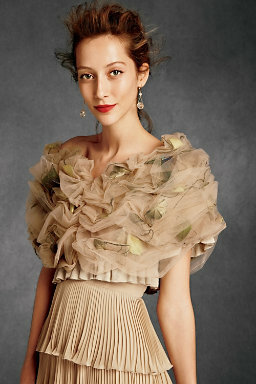 . .
Silks, laces and tulle are stepping further outside the traditional box in 2011. 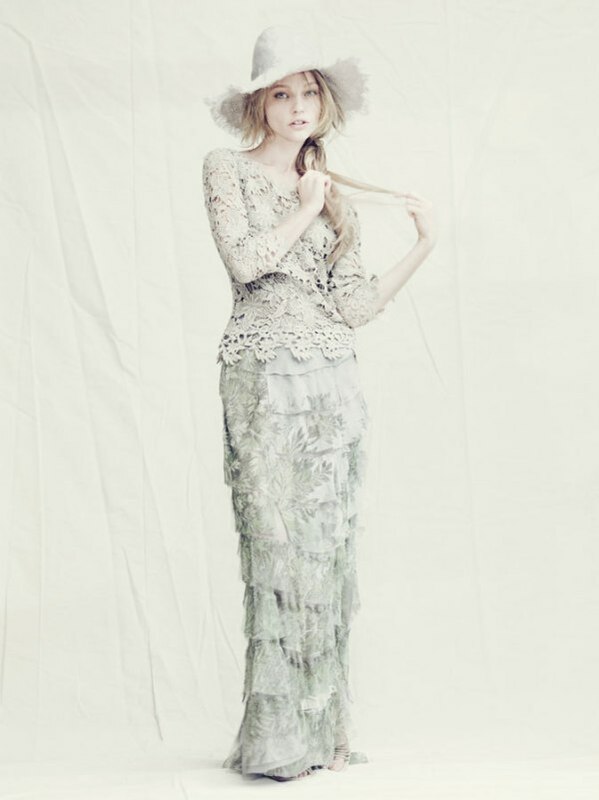 Here a white tulle skirt is paired with an ivory lace blouse reminiscent of 1970's chic. 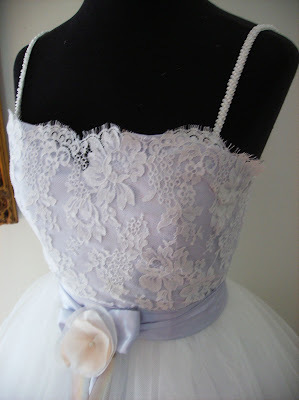 Above is a fitted sheath in silk dupioni and chiffon . . . . 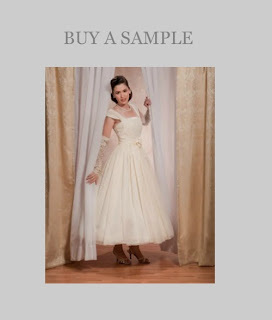 There's a whole slew of scenerios for buying a sample gown: Suppose your wedding is next month and you need that gown now? Or suppose you love the sample but it's just been discontinued? Or else you love the sample but can't afford to special order it? You do realize next season a whole new stock will be arriving? This means your salon needs to get the old out of the way; all those gowns with full skirts just hanging there take up space, or haven't you noticed? While sizes are limited and samples mostly run sizes 6-8-10, the good news is, sample markdowns usually go half off, sometimes less. 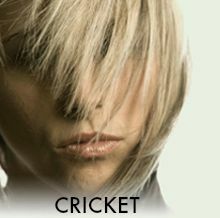 Some salons have sample sales they advertise a couple times a year while others offer marked down stock continually. Absolutely love that gown you just tried on? Offer to buy it. Yes, that same gown. Ordinarily samples are not for sale but this may be the time they're moving in all those spring confections, especially if it is in less than perfect shape, which, more than a few samples tend to be. Now, a word about wear and tear: Before you start bargaining, check out how much or how little that soon-to-be-yours gown has been tried on by others. This means really looking at it inside as well as out. Is it ripped, stained, the hem soiled and need cleaning? While most samples have never left the shop, think of them as used gowns considering how many bodies have been in and out of them. The overall condition of most samples has a lot to do with how the salon takes care of their stock. 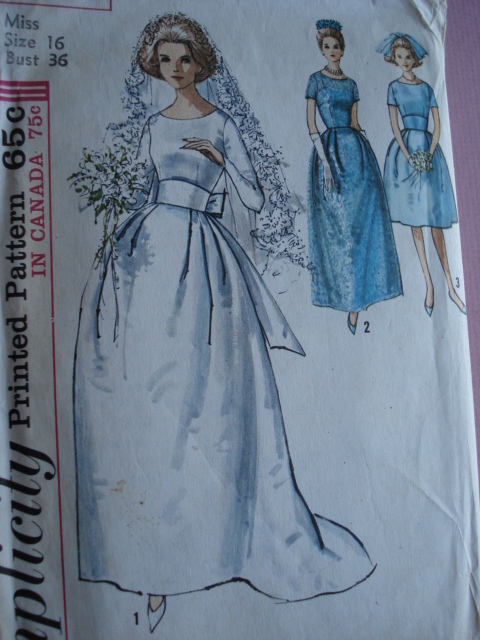 Still, figure on dry cleaning whether the gown looks like it needs it or not. After a good clean and press it will seem revived both inside and out and take on a new life of its own. So the question is, who pays the cleaning bill? In some cases, the more service oriented the establishment, the more accommodating they'll be. 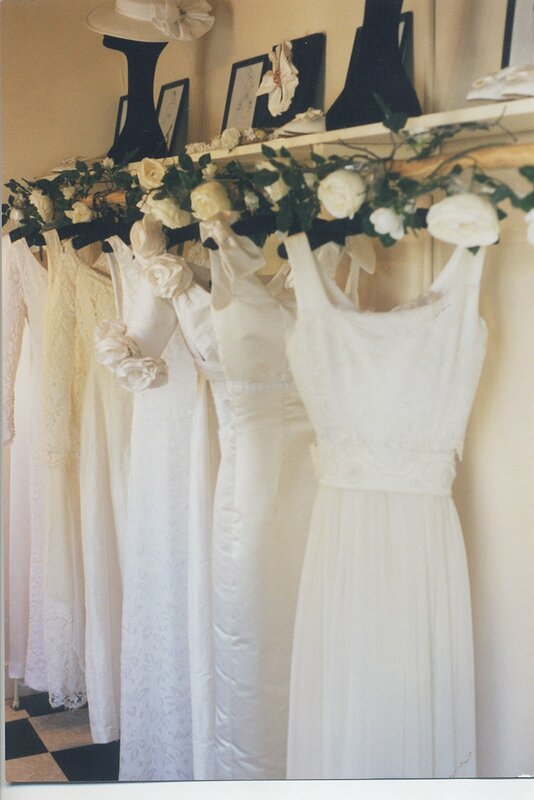 As for alterations, you might save them for when and if you have your gown customized. If you are customizing, any nipping in of the waist or shortening of the hemline might have to wait anyway.